The artist's impression drawings, like where an airship is seen hovering over a disaster area while lowering a large fully assembled medical unit to the ground, are ridiculous. The moment the payload is removed, the airship will be positive boyant with a force equivalent to the weight just unloaded. The craft would instantly skyrocket with no way of recovering before it reached an altitude, where the low air pressure would cause the Helium bladders to burst. The End. Surely not. Just take along a compressor and some empty gas cylinders. To reduce buoyancy, pump from the lift bladders to the cylinders. To increase buoyancy, reverse the process. This is pretty much what a submarine does I think. Now, 100 years ago producing lightweight cylinders wasn't easy, but with carbon fibre today, that seems tractable. They don't actually have to be small - just fairly light. In principle you are right. However there are serious problems involved in making sufficiently light pressure vessels. The compressed gas is not very dense and will take up a lot of volume, calling for large and heavy gas containers. Secondly there is the power requirement for running the compressors and gas coolers plus the time involved if the lift->hover change should be possible in a reasonable timeframe. The weight of the compressors may not be trivial if you want to compress, say, a fourth of the helium in an airship larger than Hindenburg. I haven't done the math, but it is my understanding the numbers for doing this just doesn't add up either. Some of this has to do with the peculiar properties for Helium. In regards to the Rockies thing, I'm somewhat annoyed that you didn't see the obvious solution: Go around the Rockies or high mountain ranges (Alps, Andes, etc). There are also gaps in the Rockies that are presumably easier for airships to cross, and I suspect that these are the same gaps that settlers used to cross the Rockies on foot, no less. Also, if everyone's wigging out about using Helium and finding compressibility or cost of out-gassing to compensate for the ballast issue, then why not just go back to Hydrogen? Hell, people will PAY you for the hydrogen since it can power fuel cells aboard or on the ground. Hell, you're DOCKED, for crying out loud, clamps and tethers and all that! I suspect it'd be completely trivial to just pump the excess hydrogen into holding tanks for the next airship, OR... even more efficiently, just have cargo loaded up again and you're off on your freaking way. Guys, I suspect you're completely overthinking small issues that designed logistics more than likely already took into consideration and fitted schedules and procedures to them! And, yes, in the near future, solar-cell fabrics or something akin to that will come into mass production. These sort of news show up on Slashdot at a respectable frequency. Also, even though people might not be eager to use airships as a major transportation mode, one forgets that non-perishable cargo cares little about transit time. Even for perishables, there's always refrigerated containers. Additionally, didn't you just bring up Peak Oil, plus there's the issue of environmental concerns. I think when prices go past a certain point, most people WILL accept cheaper and slower transcontinential or transoceanic transportation over costly speed. Making the passenger sections more comfortable than Coach seating in current airplanes will go a long way towards acceptance of passenger-carrying airships. Hell, you're DOCKED, for crying out loud, clamps and tethers and all that! I suspect it'd be completely trivial to just pump the excess hydrogen into holding tanks for the next airship, OR... even more efficiently, just have cargo loaded up again and you're off on your freaking way. Agreed - for most purposes good ground-handling logistics can solve this problem easily. Assuming you're docked (and by that I mean the gondola is landed, not just tethered by the bow to a mast), then by far the simplest is to pump on water ballast as soon as you land. Then offload cargo. Then dump enough excess water ballast til you've neutral buoyancy again. If you needed to drop cargo whilst airborne though, or where there are no ground facilities, this is a little harder. Still I don't believe it's a big issue, and you don't need heavy tanks to solve it - you've already got huge lift bladders, and they can serve as tanks. Lets assume you have two lift bladders, one twice the size of the other. The smaller of the two is collapsible, and the larger can tolerate an overpressure of 1/2 atmosphere. If you pump all the lift gas from the smaller to the larger you've reduced the overall lift by 33%. That's likely more than enough for any reasonable cargo. 1/2 atmosphere is about 7 PSI, so that should be manageable (for comparison, from what I can find online, the pressure in the average party balloon is about 0.4 atmospheres). You do need compressors, but likely your thrust engines can provide the power source, and the compressors don't have to handle high pressures, so I think the weight penalty shouldn't be excessive. So the only real question becomes how quickly can you move the lift gas. Again, if you're landed, this isn't an issue - compress before offloading. It's only an issue if you want to quickly drop a large piece of cargo while actually airborne. How often do you need to do that? By the way, even though large airships might not pan out, I still want my personal zeppelin for traveling in! It is obligatory! Hell, you're DOCKED, for crying out loud, clamps and tethers and all that! I suspect it'd be completely trivial to just pump the excess hydrogen into holding tanks for the next airship, OR... even more efficiently, just have cargo loaded up again and you're off on your freaking way.of passenger-carrying airships. Well, no arguments there. For fixed routes between regular destinations this is a definite possibility. Unfortunately it seems there is little absolute need for that type of shipping capacity, which needs to go faster than a ship and is heavier than what the Antonov AN-225 can carry, 250 metric tons / 551,000 lbs. The Antonov design bureau hasn't to my knowledge even begun planning for airframe number two. The large cargo airships, like the CargoLifter, was sold on the premise of shipping heavy and/or bulky one-off freights to diverse locations, like construction sites and emergency relief operations. But that market goes out the window the moment the airship requires an extensive ground infrastructure. One cannot compress the gas into another part of the airship. The stress in the skin in a pressurized cylinder is equal to the pressure differential times the radius of the container. As an example take the Hindenburg, which could lift about 100 metric ton above its own weight and was 20.5m in radius. Compressed to 0.5 atmosphere of excess pressure, the skin stress would have been about 102 metric tons! (226,300lbs) That is going to be a serious engineering challenge without increasing the weight above that of the original skin on Hindenburg. Venting is an option, but then the other end of the journey need to supply both cargo and lift gas in the same location. Apparently nobody needs the hover capacity that badly. Too bad, really. We can still hope for the cruiseliner in the sky, of course! Good point; I should have checked how this scaled before making the suggestion. In case anyone wonders why, here's the maths. I have to concede - compressing the lift gasses just doesn't seem like a viable way to reduce lift. I was just reading about the crash of the British R101 airship. Apparently one problem faced with airships is that as you consume fuel, the airship gets lighter. Either you vent, which they didn't want to do on a long journey with multiple refueling stops, or you collect rainwater to use as ballast. So that adds one more constraint: need a rainy climate. Unfortunately the R101 never got far enough on its maiden voyage to test out its rainwater collection equipment. Has there been a thread started discussing the general benefits of a renewed interest in Steam-Era technology, and its potential plusses for the fossil fuel dependent current era? Not that I can recall. Since political discussion isn't welcome on TSF as per the forum charter, I suspect it would be an 'interesting' exercise to attempt to do so. PS: I was not wearing my flashing moderator's hat as I wrote this. Needn't be poiltical and manages to stay interesting while avoiding being "interesting"
Thank you! I shall read the thread. ( ^_^ ) Better Living Through Steampunk. There should be a poster. Better Living Through Steampunk. There should be a poster. The application of airships would offer delivery of relief supplies to disaster-stricken areas that might been rendered unreachable by conventional means. Freighter configured airships could deliver pre-fab housing modules, emergency power-water purification units or simply cargo containers filled with much needed food or medical materiel. If nothing more, specifically outfitted airships could act as airborne lighthouses giving survivors a beacon to guide them to relief and rescue centers where conventional methods of communication might have been disrupted. On that note, could not an airship be configured as an sky-based cellular relay-transmission tower ? Google have already been all over that idea! To further stake a claim on being arguably the most steampunk country in the world, New Zealand has an RNZAF airbase that has its origins in a planned mooring mast for airships of the British Imperial airship Service in 1927. 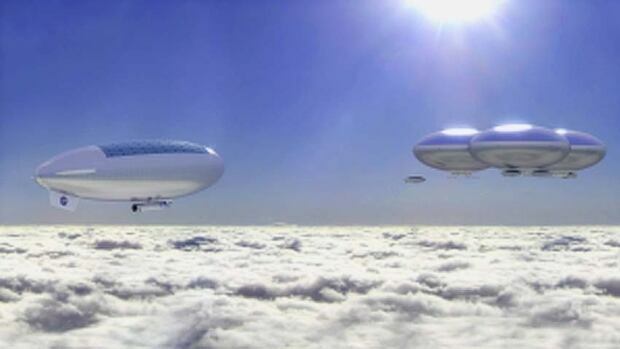 It was rumoured intended to eventually be developed to moor 1000 airships. "From tomorrow, the squadrons numbered 2, 14 and 75 will be no more - ending up to 85 years of tradition. Number 75 Squadron was formed in World War I to shoot down Zeppelin airships raiding Britain, and became a New Zealand squadron during World War II. " That was an interesting journey through that video. I had thought it was going to be a sci fi story - but I was pleasantly surprised. Airship travel is on its way . "The fundamental problem with airships is ballast by the way. If you have a neutrally boyant craft at take-off, including the payload, you would need to replace the weight of the payload the instant the payload is detached from the cargo bay. The artist's impression drawings, like where an airship is seen hovering over a disaster area while lowering a large fully assembled medical unit to the ground, are ridiculous. The moment the payload is removed, the airship will be positive boyant with a force equivalent to the weight just unloaded. The craft would instantly skyrocket." I get what you're saying but there is a well tried and used solution to this. Within the skin of a modern airship the helium is contained in flexible bladder tanks. Imagine a bunch of balloons like that kids film UP. These are connected via a compressor to holding tanks, gas cylinders usually. Empty some of the balloons by compressing the helium into tanks and the overall buoyancy of the craft lowers (atmospheric air is allowed into the airship body to take up the space previously taken by lighter tan air balloons). When you take on ballast, be it people or a medical centre, release the helium back into sufficient balloons to support that weight. It's the same principle as a submarine uses. It's the overall average density of the craft that matters, if you change that you Cheng wether it floats or sinks within the medium it's suspended in. Page created in 0.629 seconds with 16 queries.